Goats. 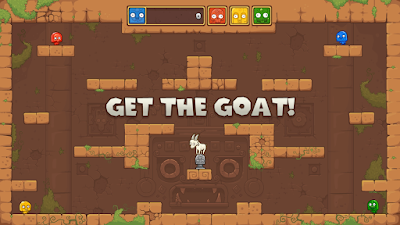 Did you know that having a goat in your game automatically gives it an increased grade from SuperPhillip Central? Okay, that's not true, but having a goat definitely won't be a reason to deduct points from a review on SuperPhillip Central. Instead, there are other reasons why I wasn't 100% thrilled with Toto Temple Deluxe, the next game that we see a review for on SuperPhillip Central. King of the hill is a popular mode in a lot of multiplayer games, so what happens when you decide to build a game completely off that mode? 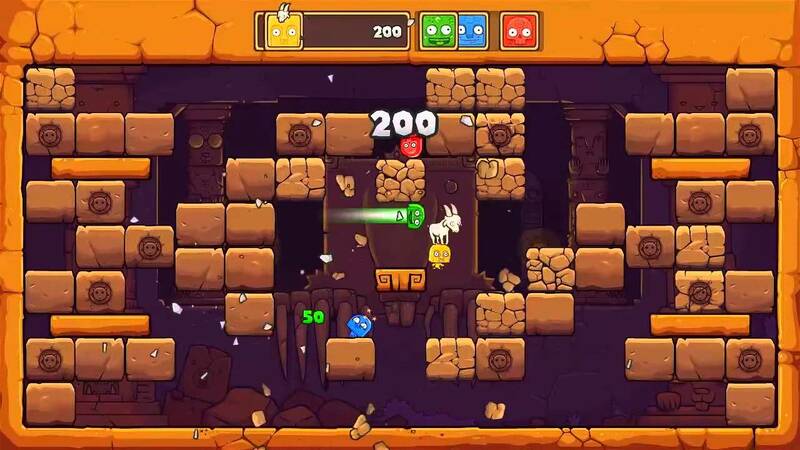 You get Toto Temple Deluxe, a multiplayer delight from Juicy Beast Studio that delivers a lot of entertainment as long as you have friends to play it with. If not, then you better look elsewhere for your goat-grabbing fun. Make sure this goat gets got. When you have control of the goat, it's your job to try to stay away from other opponents who want nothing more than to dash into you, thus relinquishing your control of the goat and giving them control. As the goat is held by an opponent or yourself, points are gained for the person or team with control of the goat. The player or team that reaches a specific point total wins overall. Bomb mode is a different take on Classic. Instead of a goat that you bully by not leaving it alone when all it wants to do is rest and graze, you dash into a bomb, picking it up. If you hold onto the bomb long enough, it will explode, making any player that gets caught in the blast radius lose and exit the game as ghosts. Of course, like with the goat, you can be dashed into. Thus, having the bomb taken away from you, and restarting the bomb's countdown in the process. 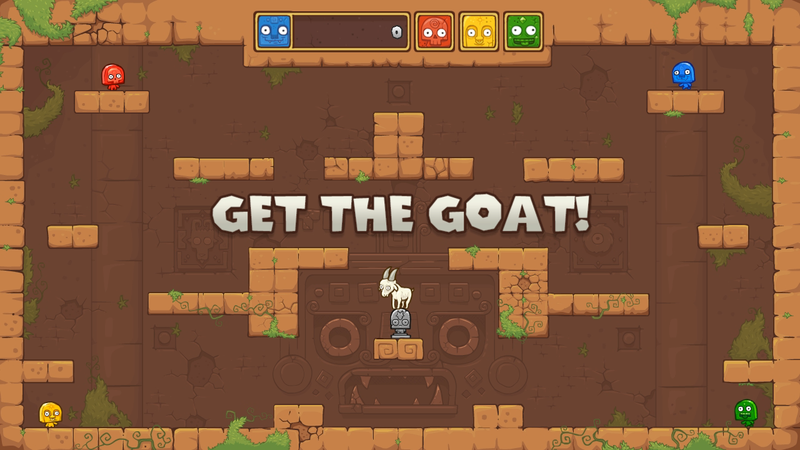 Break a leg (and those blocks) to get that goat! The latter mode, Target Challenge, is unlike the preceding two modes, as it's only available for one to two players. 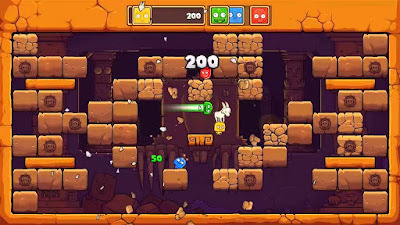 This mode is essentially to practice your goat-herding skills and allows you access to trying out the controls before you play competitively through breaking targets to get a high score. 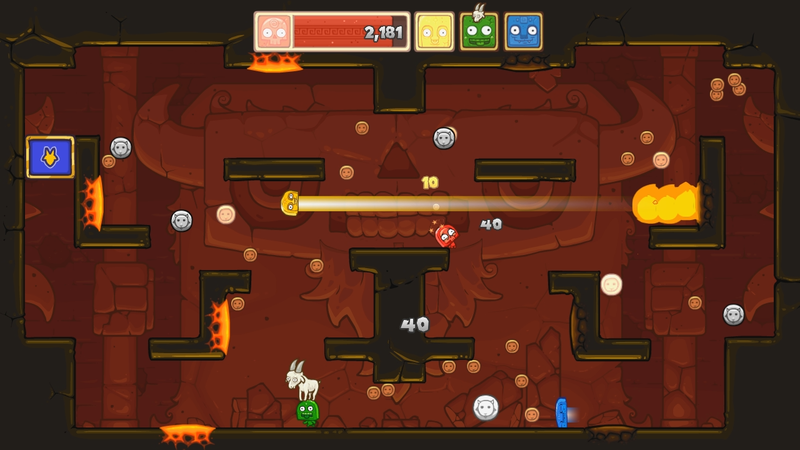 Regardless of playing competitively or not, Toto Temple Deluxe doesn't have much in the way of longevity. Sure, you can unlock new cameos from other indie games to replace the goat as you go through normal play and try to unlock the final three maps in the game, but other than that, there's not a lot to keep players playing. The main culprit to this is the total lack of online. Now, I understand with a smaller indie developer this might not be achievable in a realistic way, but the lack of online is still disappointing and would have made Toto Temple Deluxe immensely more re-playable. Furthermore, the entire user interface of Toto Temple Deluxe is rather confusing. Instead of simply moving from mode to mode with a cursor or with the d-pad, you're forced to use your character to dash into buttons to make your choices, from modes to what character you want to play as and what map you want to play on. It's needlessly complicated and an issue with the game. Toto Temple Deluxe can be enjoyable, but it all depends upon if you have the people to play it with. 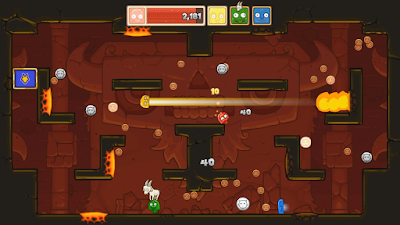 If you have friends or family to play with, Toto Temple Deluxe can be a lot of simple fun. If you're a solo player, you're better off getting your entertainment from goats from that one early herding mini-game from The Legend of Zelda: Twilight Princess. Review copy provided by Juicy Beast Studio.